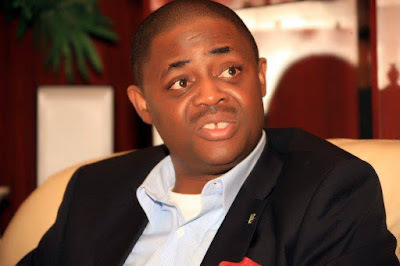 Former Aviation Minister, Femi Fani-Kayode, believes the violence that erupted at the APC governorship campaign ground in Lagos state yesterday January 8th, was some kind of ritual and blood sacrifice to kick start the campaign. One person was shot dead while several others were injured in the campaign rally that held in Ikeja. ''People are being slaughtered before his very eyes and Ambode keeps on making his speech as if nothing extraordinary was happening? This is clearly some kind of ritual and blood sacrifice to kick off their campaign in Lagos state. That is what APC has turned to. They are a coven of Rabia-loving fundamentalists, ritualists, cultists, devil-worshipers and men of violence and blood. May God deliver Nigeria''.